"Excellent Support and Great Options"
I was a new systems admin for a company that had been using XMediusFAX on premises for years. They were on an older version, but had recently migrated to Office 365 and were trying to move other services to the cloud. XMedius worked with me to get us to the newest version quickly and painlessly, then helped us transition our services to new hardware. No issues, and no problems! I haven't had any problems with XMedius at all. We are happy with their services and support. Please avail yourself of their support when setting up and getting started. They know their product very well! We have many customers that still use FAX as a primary means of receiving invoices. We were able to set up automated invoice emails through our system, and the customers that have fax numbers instead of email addresses, XMedius makes it easy to send to them from the same systems! And inbound faxing, they make it easy to take them and move them to the correct user based on DID or extension. Once it is set up we never have to touch it. Also, reporting is easy through XMediusFAX. "Horrible customer service - Bait and switch just trying to get money"
Its send faxes, and now I need to meet the 40 character minimum for this section. They encouraged me to purchase Fax Credits in bulk so we would not run out and I paid $1200. Then after 12 months they expired and 50% of them had not been used. They just told me too bad you need to purchase more. So a waste of $600. They have no way to automatically refill the fax credits, They are unable to charge a credit card to pay for them, they have no phone number for customer service when you call tech support in India they just take you name and phone number and say someone will call you back. Big waste of money. Make sure you never purchase fax credits unless you are 100% sure they will be used by the expiration date. Don't expect to be able to contact someone to help you. 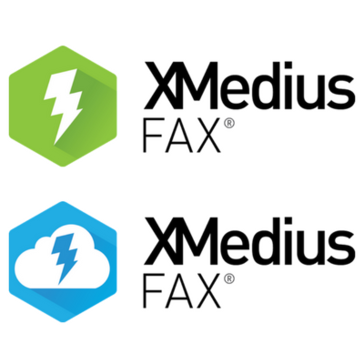 "XMediusFax migration from older fax service"
That it's a cloud based service, so users are able to fax from anywhere. Also that it can accept a lot of faxes at the same time. I also like that we can set a policy on the groups . I like that we can choose and switch which fax number will be come the main. I like that there is an app for mobile devices. It would have been nice to have a non-Administrator role we can assign to our receptionists so that they can monitor and route the faxes as they come in. The only roles it currently has is user and Administrator. Get your groups setup before implementing, it will make it easier when you start creating the users. Provide the ability for everyone in out company to send a fax no matter where they are. "Product works great and gets rid of the need for traditional fax machines"
"This is 2018 people. Fax from your workstation"
The simplicity of sending a fax directly from Outlook is a game changer for me. Receiving faxes electronically is really helping us with our long term goal of becoming paperless. I miss the loitering around the copier/fax. This was always a good place to stand around a chat with co-workers. Reduce your carbon footprint by almost eliminating paper. Having multiple fax/printer/copiers on each of our floors was turning into a support nightmare. 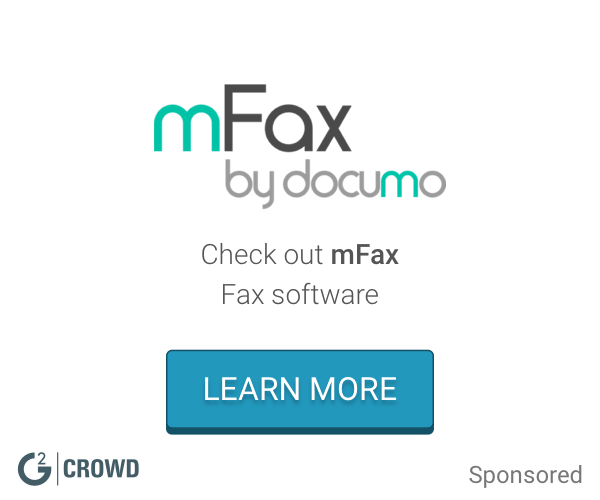 Now faxing can be done uninterrupted even when the MFD goes down. Nothing was mentioned for downloading the hot fixes prior to the installer logging in. The preinstall list otherwise was very informative, very good choice in a fax solution. Make sure AD is setup well, Xmedius ability to route via fax AD information is very helpful. Make sure that your exchange admin is up to speed on linking Xmedius with exchange. Cost per fax line and allowing our end users to send and receive fax more quickly and efficiently. "Simple Program to Use Once you know the Fundamentals "
Managing multiple email domains can be challenging in xmedius at times, however, support is very helpful in getting these settings configured the right way. Replacing POTS lines and traditional fax machines, while still meeting business or in some cases state requirements by utilizing a faxing technology solution. XMedius offers simple management and integration with the rest of your technology infrastructure. The platform has excellent troubleshooting tools and technical support staff are responsive and skilled . XMedius offers a number of options for inbound/outbound fax capabilities/integrations. We utilize AD integration and to add inbound faxing for a new user is as simple as adding their fax number to their AD profile. Upgrades are simple and licensing is straightforward. Nothing in particular jumps out as a negative. I've used other more complicated platforms that I could speak negatively of, but XMedius is our go-to fax solution that we recommend to our clients. SImplified document management and streamlined user workflows. We save organizations time, reduce the chance for human errors, and simplify end user workflows which leads to a happier employee. No Tech support after 5:00 PM CST, If its 24 hours that would be great. E faxing and its better then traditional analog faxing. Much faster, secure and efficient. Good customer service attention, action and resolution. Being able to get my job done! I can't think of anything that I dislike about the product. Paperless faxes, visual platform, saving on paper, no paper jam frustrations, leaving my desk unattended to retrieve and send faxes. A one location right on desktop to manage all incoming faxing. Some of the settings like t.38 re-invites are hard to find for new users. Containers deployment module should be revised for more ease of use. Best software with less day to day administration tasks. Implementation of the Xmedius solution has cut down on our faxing issues and is very user-friendly. Tracking of all incoming and outgoing faxes through one interface. One of the best solution for faxing. We are no longer having incomplete faxes through ou our organization. Cutting down on paper waste. The customer support is lacking. I had some issues with set up of users and it took me a long time to get an adequate answer. "Been using Xmedius for about 2 years"
Straight forward user interface. Good customer support. Not PCI compliant. Difficulties integrating with Google mail and configuring email-to-fax feature due to security concerns with email spoofing . Getting rid of standalone fax machines and analog lines. "Good try with Xmedius to my customers." Your Fax server is configured to help small to large companies. Customer service in your company needing too much time to help us when there is an urgent issue. I have around 3 customers, all of them working with XMediusFAX. All of them cars companies, ford, Mitsubishi, and Mercedes. * We monitor all XMediusFAX® reviews to prevent fraudulent reviews and keep review quality high. We do not post reviews by company employees or direct competitors. Validated reviews require the user to submit a screenshot of the product containing their user ID, in order to verify a user is an actual user of the product. Hi there! Are you looking to implement a solution like XMediusFAX®?